Don’t Let Arthritis Pain Keep you from Life! September is National Arthritis month and a great time to increase awareness about the disease that affects over 4.6 million Canadians. “Athro” means joint and “itis” means inflammation. The joint inflammation that is characteristic of arthritic conditions can cause joint and musculoskeletal pain. Joint inflammation can also cause redness, swelling, stiffness and heat. These symptoms can inhibit normal use of the joint and lead to loss of function over time. 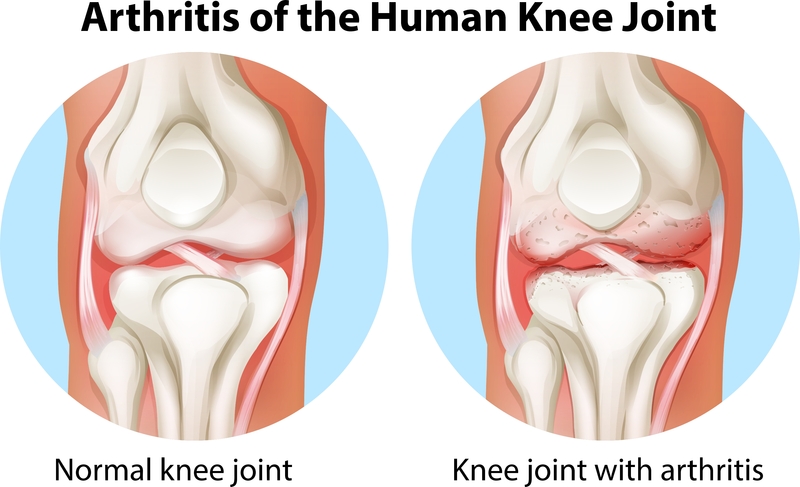 Osteoarthritis is the most prevalent type and results in degeneration of the cartilage within joints, while rheumatoid arthritis is an autoimmune disease where the body attacks the lining of the joints. At BodyTech Physiotherapy our experienced physiotherapists will work with you to create an exercise program that will not only make daily tasks more comfortable, but will also allow you to pursue your hobbies and active goals. An effective exercise program can be designed for all levels of abilities and function and will be simple to perform at home. Stretching and range of motion exercises can relieve stiffness and restore normal joint movement, while strengthening exercises are important to allow surrounding muscles to provide stability to joints. Stability provided by muscles prevents too much motion of the joints, thus protecting them from excessive wear and tear. Another key outcome of an exercise program is pain reduction. Pressure in the joints caused by inflammation and swelling is unloaded with proper exercise allowing the joints to move freely and function normally. Education about proper body mechanics and posture will also protect the integrity of the joints and help reduce pain and stiffness. In addition to an appropriate exercise program, an important role of physiotherapy in arthritis care is manual therapy. Manual therapy involves joint manipulation and mobilization that can improve range of motion and reduce pain, therefore allowing exercises to be performed more effectively. In fact, studies have shown that manual therapy combined with an exercise program provides improved pain relief and joint function compared to exercise alone. At BodyTech Physiotherapy, manual therapy comprises a large part of our treatment, thus providing you with the essential care to treat your arthritis. This entry was posted in arthritis, Kitchener Physiotherapy, Knee Pain, Pain Relief, Physical Therapy and tagged arthritis, joint inflammation, knee pain, pain relief, Physiotherapy on September 24, 2014 by bodytechphysio.